The long wait is now over!! 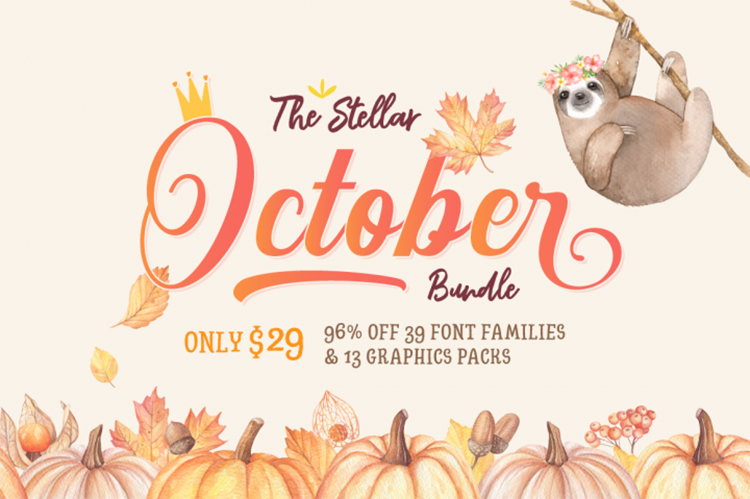 The latest Stellar October Bundle includes 39 premium font families (75 font files) and 13 graphics packs (over 1600 elements & patterns) for you to elevate your toolkit in no time for the most beautiful season! Get this amazing collection for JUST $29 for a limited time only, that’s 96% OFF the regular price ($783)! !